With Christmas fast approaching, now is a great time to visit one of Europe’s great capitals and enjoy all the colour, merriment and festivities that are going on. One of the highlights of these cities is the presence of fantastic Christmas markets, with some of the best in Europe being based in the great capitals across the continent. Paris has the Marches de Noel, a superb array of stalls selling all kinds of fine goodies, fine food and, of course, superb French produce such as cheese and wine. Indeed, there is a good reason for France does such markets well, as they originated in the Alsace region, which has often been part of Germany and contains cities famous for their festive markets like Strasbourg and Colmar. The Paris markets are set to be open until January 4th. Berlin, naturally enough, has a wealth of fabulous Christmas markets with the most authentically Germanic atmosphere possible. 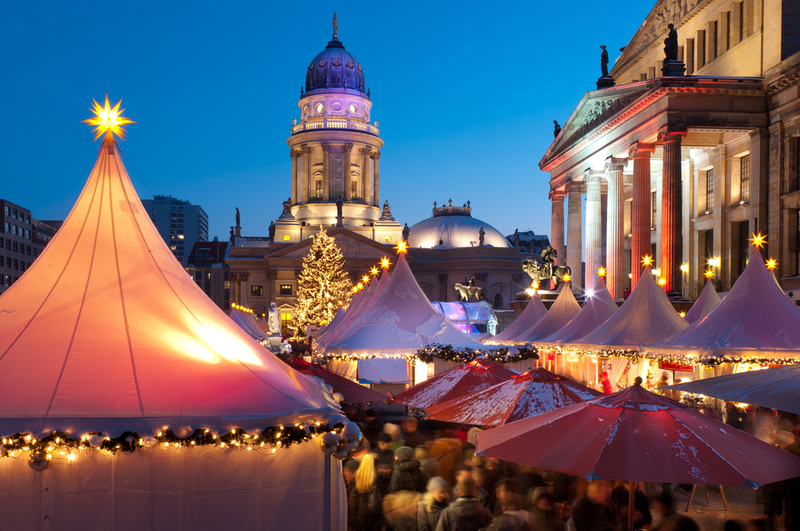 Choose from the Charlottenburg Castle Christmas Market, where the castle itself is bathed in beautiful multicoloured light to add a sense of fairytale to the occasion, or the Gendarmenmarkt Christmas Market, located in one of Berlin’s most beautiful squares. Visitors to Rome can’t go wrong with the Piazza Navona Christmas market, which is open until January 6th, with its wonderful array of gifts, sweets and entertainment. The illuminated fountains and Church of Sant’Agnese in Agone add the perfect setting for this 100-year-old market. Those looking to Eastern Europe should try out Prague’s Christmas market, which not only has a great atmosphere and lots of traditional wooden huts, but a fabulous setting, being based in Old Town square and the iconic Wenceslas Square. For the (geographically) nearest thing to Lapland, Stockholm has several markets to enjoy, with a lovely traditional one in the old town. Visiting Sweden at this time of year is not just a great way to enjoy the festivities closer to Santa’s grotto either, as a trip this far north may provide a good chance to see the Northern Lights.